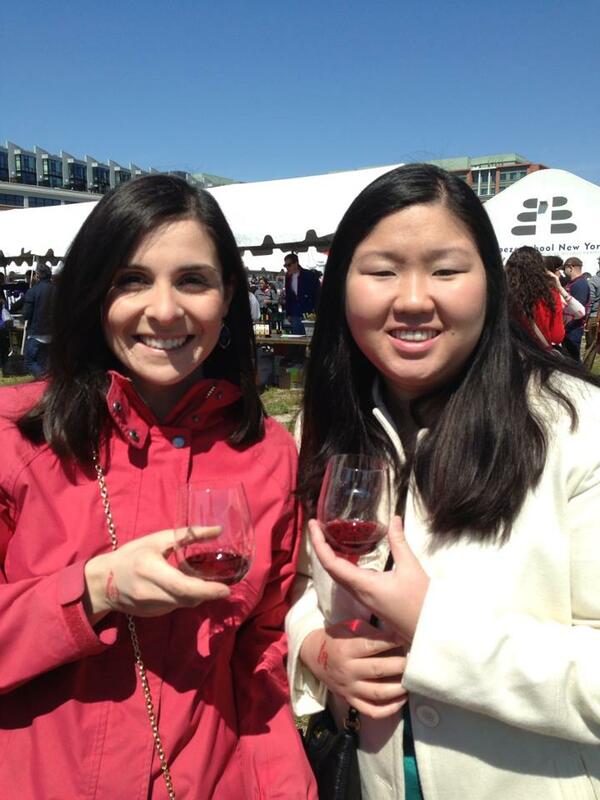 Yup, THT accompanied us lucky ladies to the 2013 Drink the District Wine Festival. Organized through Living Social (what don’t they have their hands in these days? I saw a deal for a Flower Arranging Class yesterday. Cue bad “Mrs. Dalloway” reference here), the festival was a one-day affair last Saturday that featured wine vendors, tastings, a prize giveaway (I was, alas, unsuccessful. Boo. 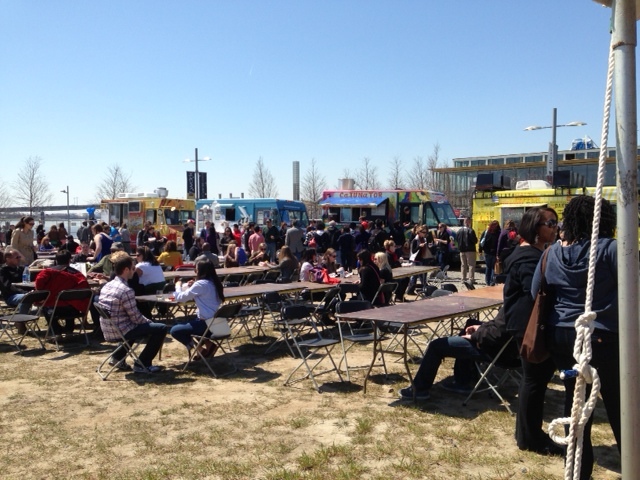 ), and loads of tasty food trucks. It was, in a word, vino-fabulous. Yes, that bright yellow truck WAS, in fact, selling chicken and waffles. Nommy nom nom. The wines? 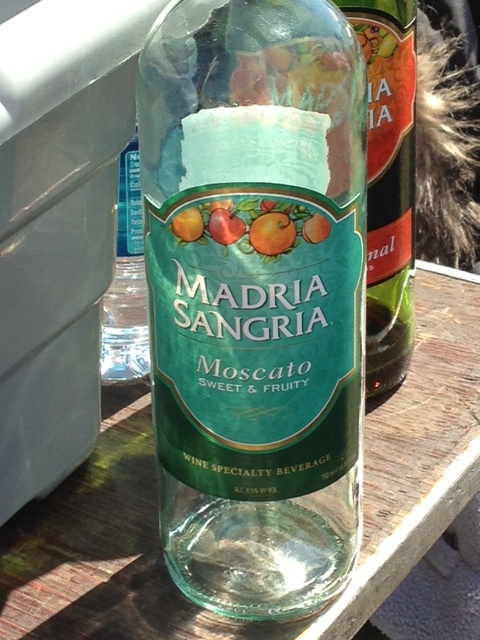 A slew of familiar favorites (Cupcake, Naked Grape) and surprises (bottled Sangria? Yes, please!). I liked the South African wines, a few Australian Shiraz blends, and even an unconventional Gewurtz or two. Hard to go wrong with vino and sunshine, huh? I’ll take a sippy cup of that, please! 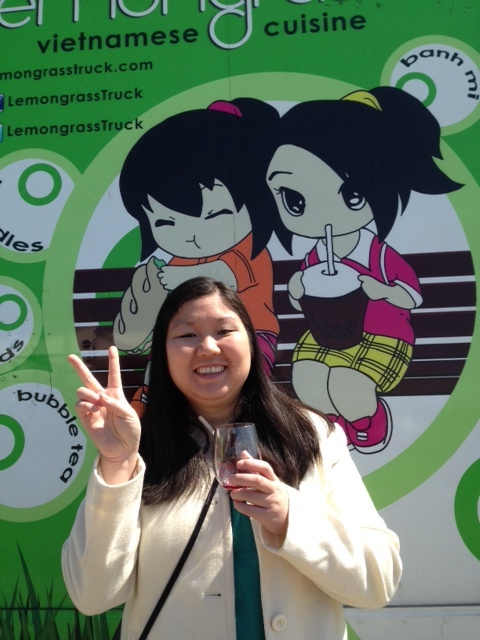 Later that weekend, Laura and I hit up the Cherry Blossom festival around DC’s Tidal Basin. 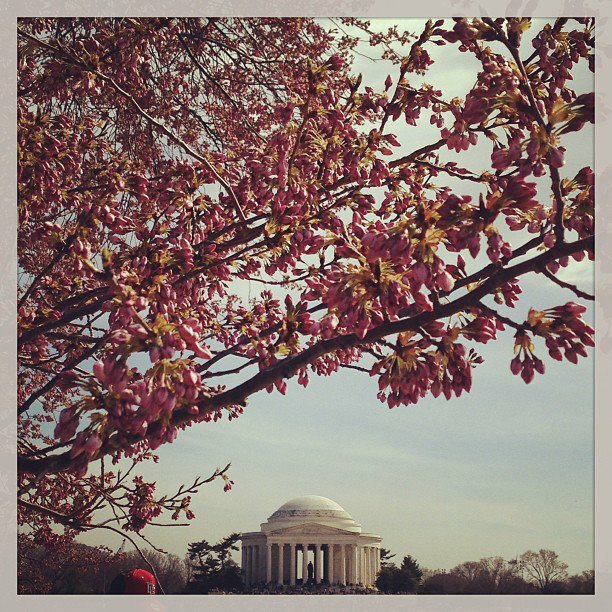 (That pretty little man-made body of water by the Jefferson Memorial.) While the trees weren’t exactly peaking yet, even the buds were still beautiful! 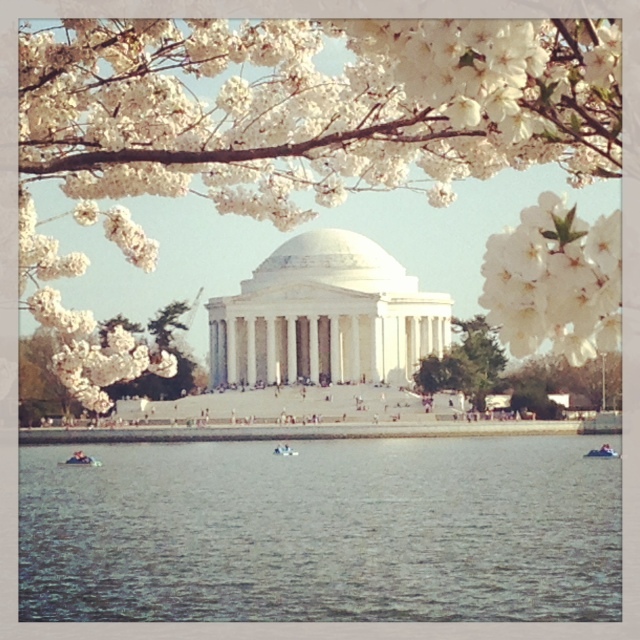 Two days later, THT and I went on a run around the Tidal Basin for A) exercise purposes, and B) tourism purposes. It. Was. Spectacular! The trees, an early 20th century goodwill gift from the Japanese government to the U.S., hit their brief-but-spectacular peak bloom this week, and the results were stunning. What were you kids up to this weekend? 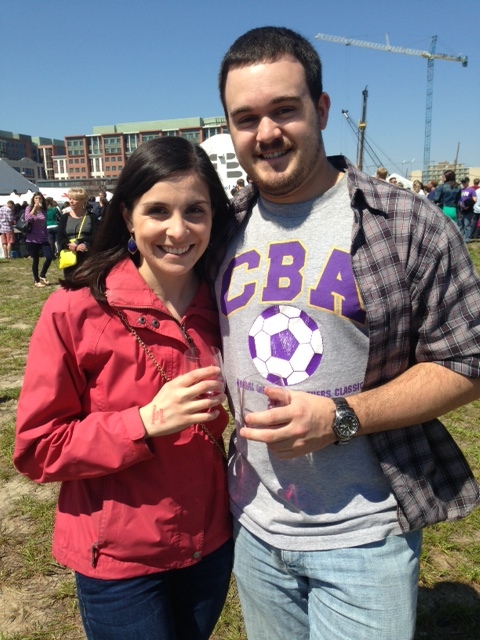 Have you visited any Wine, Beer or Food Festivals recently? What’s coming up in your neck of the woods? Do tell! Happy eating!